Minimal signs of wear on packaging only - item itself is in pristine condition. For warranty information, refer to "In the Box"bwsdcwcawzzyzedxfxwrcbduwufafzrcexdxz contents. 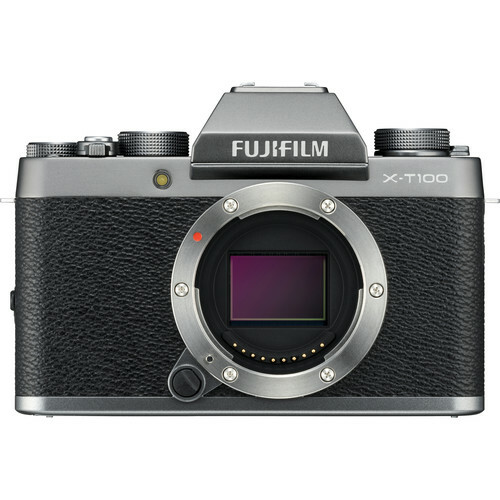 X-T100 Mirrorless Digital Camera (Body Only, Dark Silver) is rated 4.6 out of 5 by 13.
can the dials on the top of the camera be customised to be anything when in manual mode? Not the dials. But there are several soft buttons on the body that can be. Will Auto FP (HSS) work with Nissin i40 flash? Mine is updated with latest firmware and Nissin said it should work. It will do HSS with any ttl compatible flash (meaning the flash communicates with the camera shutter). Fujifilm doesn't certify third party flashes, but if Nissin assures you then it should be fine.